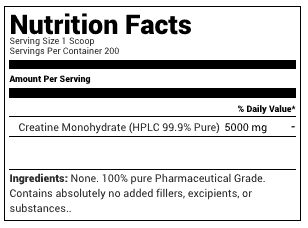 If I could only take one supplement to improve my workout performance, it’d be Nutrakey Creatine Monohydrate. There are several reasons it’s my first choice. Here are the most important. Tested for purity so I know it contains nothing but pure, micronized creatine monohydrate. It’s made in the USA. You don’t feel like you’re gulping down sand. Nutrakey grinds it into an extremely fine powder that dissolves quickly so it’s easy to drink. A single container lasts between 2-3 months. Great value. Only $.25 per serving. 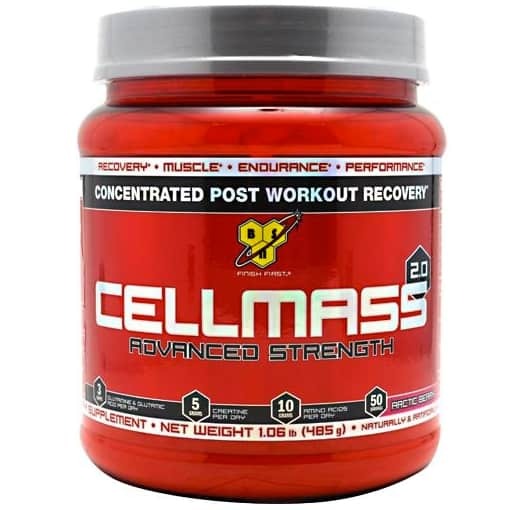 Every serving contains 5 grams of pure Creatine Monohydrate. There are no fillers or sprinklings of ingredients that don’t make a difference, nothing artificial, just pure Creatine Monohydrate in every scoop. By increasing your strength and power. Helping you build muscle faster – 3 or more pounds the first month alone. Do more work & recover faster between sets. Jump higher and sprint faster. 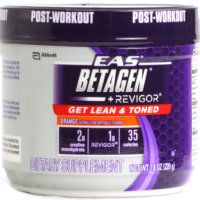 Decreases your risk of cramps, muscle pulls during intense workouts, especially in the heat. This isn’t a bunch of hype either. Creatine Monohydrate has been studied by researchers for over 20 years and more than 100 peer-reviewed studies show it works in the ways I list above. So do the millions of customers from Olympic and professional athletes to people like me and you who want to train had and get after it every day. Who Is This Supplement For? 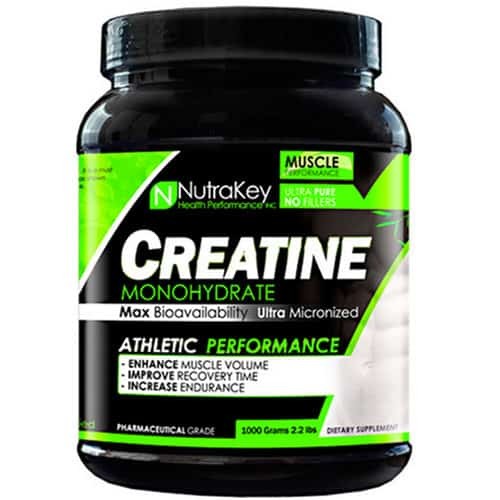 Nutrakey Creatine Monohydrate is a great supplement for every guy or girl that wants to get the most from their workouts. Studies show that it’s safe and beneficial for all adults from college athletes and students to people in their 80s. No matter who you are, your fitness level, and athletic ability, it will most likely work for you. What Workouts & Sports Benefit The Most? While there probably aren’t many athletic activities it doesn’t benefit, those it helps most are the ones that require brief bursts of intensity. Think anything that requires you to lift, run, or jump as hard and fast as possible. 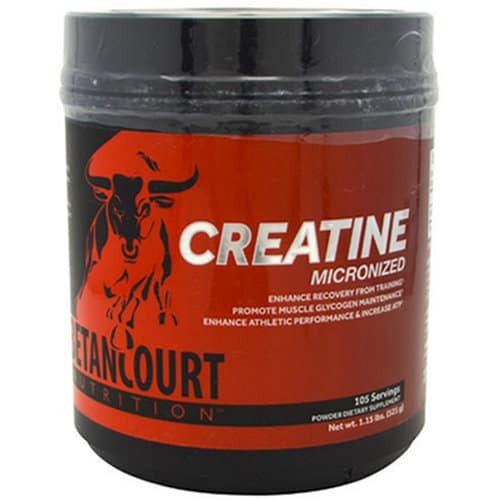 Creatine was discovered in 1832 by a French scientist who isolated it from muscle tissue. He called the newly isolated compound Creatine after the Greek work for meat. This compound occurs naturally in small amounts in many foods, especially red meat. Our body’s also make about a gram a day naturally. It’s stored primarily in our muscles and used as needed but is also found and used by many other organs including our heart and brain. This supplement works in a couple ways. It’s primary function is to quickly recycle a source of energy in your body called ATP. This is the energy we use doing something intense like squatting a heavy weight, sprinting, and intense Metcon workouts or Crossfit WODs. When taken properly, Creatine also helps buffer our muscles against fatigue. This means that you’ll be able to push harder, longer before your muscles hit the wall and quit working. In order to realize its performance enhancing benefits, we need to take more creatine than our body can make. How Should I Take Creatine Monohydrate? This depends on whether you’re already been taking it or are a first timer. If you’ve already done the required loading phase where you quickly fill your muscles or have been taking 5-10 grams a day for at least a month than you should keep doing what you’re doing. Taking 5 grams once daily is all you need to do. If you’ve never taken it before or it’s been more than a month since you last took it regularly than you need to first do what’s called a loading phase. This is the fastest way for it to work. Here’s how you load your muscles with Creatine according to the latest research. Days 1-5 – take 5 grams 4 times a day. As long as you take 3-5 grams a day after doing a loading phase you’ll continue to benefit. Once you go off for 30 days you’ll have to start over and load your muscle again. A serving at this time on the days you train. Since our muscle need to be filled up with Creatine before it works taking a single serving pre-workout will not improve your performance. I mix and drink my creatine in water. You can also add it to your protein shakes and smoothies if you prefer. Since it’s tasteless it won’t foul up the flavor of whatever you’re drinking. To date, all of the research conducted finds creatine to be safe for healthy men and women to use. This includes both short term (7-30 days) and longer term (4+ years) daily supplementation. As always, check with your doctor to make sure it’s okay for you to take. The latest studies find that Creatine Monohydrate may actually be beneficial to our health and performance beyond being a muscle builder and performance booster. A of the few of the ways creatine helps our health & performance. Decreases risk of cramps and muscle strains in hot weather. Helps you think faster under stress. Creatine may help older women improve their balance and decrease the risk of falling. It may also improve your cholesterol levels. Aren’t Creatine HCL & Creatine Ethyl Ester Supplements Better? Nope. Neither of these products comes close to working as well. Studies show that neither of these types of creatine increase the amount stored our muscles. Nor do they improve your performance or build muscle. Many of these supplements don’t even contain any active ingredients. They instead contain creatinine, which is what’s left after Creatine is broken down in our bodies. Don’t be tempted by outrageous claims in advertisements. Stick to the best, Nutrakey creatine monohydrate. It’s backed by 20 years of science and millions of satisfied customers.